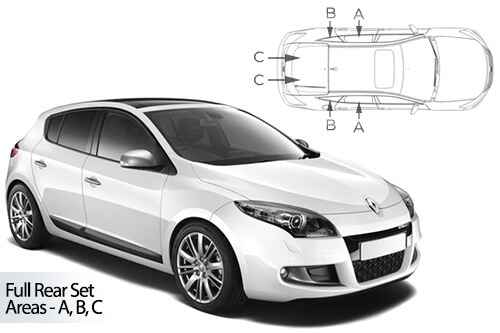 Car Shades are tailored fit vehicle sunshades designed specifically to fit easily to your RENAULT Megane 08-16. Car Shades can be installed within your RENAULT in a matter of minutes and can be removed just as easily giving you the flexibility that you just don't get with tinted windows. Each set is supplied with installation instructions, fixing clips and a handy storage bag. The rear windows on your RENAULT can still be opened whilst the shades are installed allowing you to get extra ventilation into your vehicle whilst still keeping sunlight out of the eyes of rear seat passengers. With the windows up however, the cabin temperature remains lower than with an unshaded car, allowing the vehicle's cabin ventilation or air-con system to work at a lower rate, saving you fuel and lowering your emissions.